The Singing Mouse was written by Barbara J. Ness and illustrated by Donna Merchant. Young readers will be enchanted with this delightful story written in verse and the richly illustrated animal characters. It is a story you and your children will read again and again! The book tells the story of a lonely little mouse with a talent for singing. He is encouraged by an unexpected visitor to entertain guests with his impressive repertoire and soon discovers the joy of sharing his unique gift with new friends. Barbara J. Ness, a graduate of Wartburg College in her hometown of Waverly, Iowa, had a passion for creative writing and storytelling since childhood. After college, she pursued a career as a teacher and a librarian, and spent more than 10 years sharing her love of writing and literature with hundreds of kindergarten, first and second grade students. The Singing Mouse was Barbara’s first published story and is the culmination of an idea based on the memory of an actual singing mouse that had taken up residence in her childhood home. 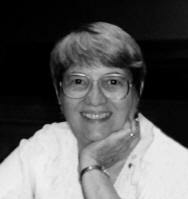 We are sad to note the passing of Barbara on May 15, 2008 from complications of ALS (Lou Gehrig’s Disease). Barb is survived by her husband of 40 years, Stanley L. Ness of Minneapolis, Minn.; her children, Nancy (Gerry) Yancy of Brooklyn Park, Minn.; Eric (Jeanne) Ness of Apple Valley, Minn.; Laura (Merle) Wellhausen of Thompson’s Station, Tenn. and Amy (Mark) Williams of Brentwood, Tenn.; 11 grandchildren; siblings, Fred (Janelle) Downing of Wickenburg, Ariz.; Jo Ann Osborne of Minneapolis, Minn.; Sarah (Sally) Lueder of Rochester, Minn. and Jane (David) Ernst of Springfield, Va.
She was preceded in death by her parents, Raymond and Esther Downing, and brothers-in-law Frank Osborne and George Lueder. The Singing Mouse is illustrated by Donna Merchant. 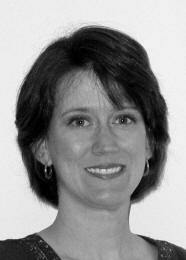 Donna grew up in Powhatan, Virginia and earned a Bachelor of Fine Arts degree from Virginia Commonwealth University. She taught art to children in kindergarten through middle school for nine years at a private school in Fairfax, Virginia. 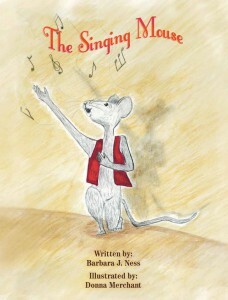 The Singing Mouse is Donna’s second publication with 2DonnBooks. Her first, Goblins Will Be Seen, a Halloween story set in nearby Occoquan was printed in 2005. Currently, she enjoys being a stay-at-home mom, while continuing to pursue new creative projects with 2DonnBooks. The Singing Mouse is Donna’s first collaboration with writer Barbara Ness. The inspiration for the illustrations comes from her life-long love of animals. Donna lives with her husband Paul and her four-year-old son Benjamin in Dale City, Virginia.